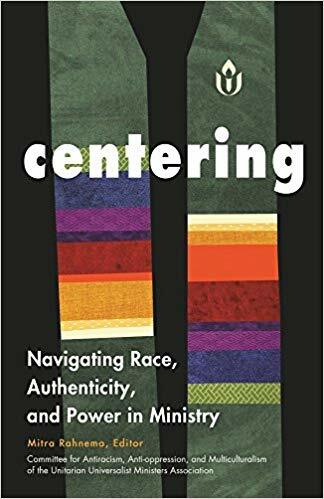 First UU Wilmington – Centering: Navigating Race, Authenticity, and Power in Ministry – Book Discussion – Noon to 2 p.m.
Centering: Navigating Race, Authenticity, and Power in Ministry – Book Discussion – Noon to 2 p.m.
Rev. Roberta challenged us to join a discussion group about the book Centering: Navigating Race, Authenticity, and Power in Ministry to continue our racial justice work. The book is available at the Book Corner, from our church library, and is also being passed around. Please come be a part of these meaningful conversations. We are planning two groups. We will begin all together in Brunner Chapel and then will break into smaller groups. At the noon group we will offer a light lunch. At the 7:00pm group we will offer some dessert. We need to know how much food to buy. Please RSVP by calling the church office at 302-478-2384 or on line, here.